Whether you have small children, frequently travel, work in a hospital or share an office, each year presents the dreaded cold and flu season. We run from sneezing strangers, stock up on lotion to soothe over­washed, dried out hands, pop Vitamin D like it’s candy and kindly remind co­workers to please stay home when they’re sick. And we buy a lot of facial tissues. Imagine if you had an early notification that the flu is coming to your town. Would you take extra­ precaution to avoid getting sick, and stock up on the necessities, such as tissues, to be prepared? Kleenex is betting that you will. Their new app at My­Achoo.com is a classic case of Youtility. In a genius move from the brand that basically named the category, Kleenex pulls and analyzes data from various sources to advise consumers three weeks out that the flu is headed their way. As described in the book, Youtility doesn’t always require creating original content from scratch in order to be useful to your audience. In this example, just like the Phoenix Children’s Hospital’s Car Seat Helper app mentioned in Youtility, Kleenex is relying on data that the Center for Disease Control already makes available, and potentially other data sources crunched together by their algorithms, to provide a precautionary alert to the market. 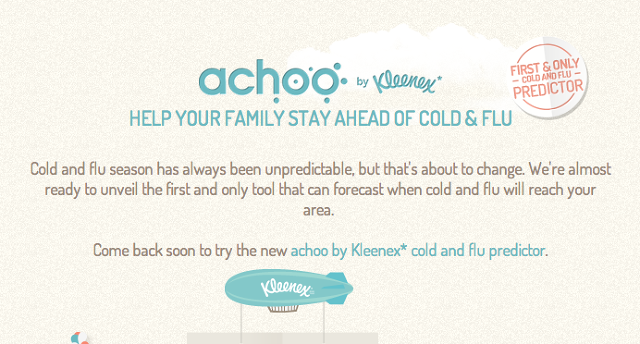 According to the Fast Company article, Kleenex claims “the prediction tool has been 90% accurate in preliminary tests”. Do you think Kleenex wants to sell more tissue? Absolutely, and their shareholders expect it! But even though the app hasn’t been released, I’ll bet that there is no commerce function. Kleenex is simply providing useful information for its core audience to help them avoid an unpleasant situation: the flu. They know that by providing real value before they sell anything, consumers will remember the brand in the unfortunate event that they do need to buy facial tissues. Marketing without “selling” or developing content that doesn’t lead with solutions-­oriented value propositions. With the fast and furious rate of advertising hitting your audience everywhere they turn, the way brands and products stand out is by breaking the mold. People want to do business with and buy from companies that they can trust; companies that help them. Be useful – earn trust – build sales.